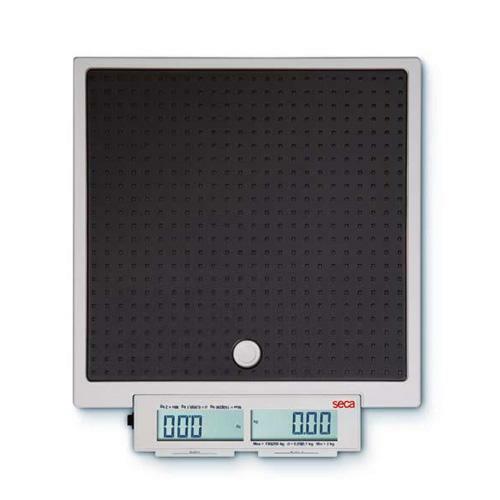 The seca 874 can do everything that a scale in mobile use should do and then some. It features extremely robust construction and easy-to-use design with long-life batteries and precision unaffected by humidity levels. The scale is so simple that you need only the tip of your toes to operate it. Mother/child function for trouble-free weighing of small children. Large leveling bases for increased stability. Low device weight and battery power for mobile use. Double display for readout from different positions. Two push buttons for effortless operation with the foot. This practical carrying case is designed to safely transport either of the following flat scales: seca 874, seca 876 or seca 803.